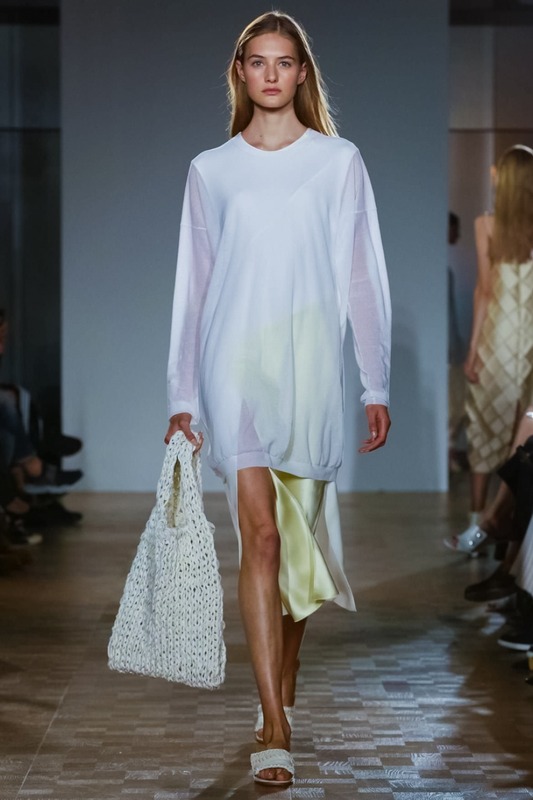 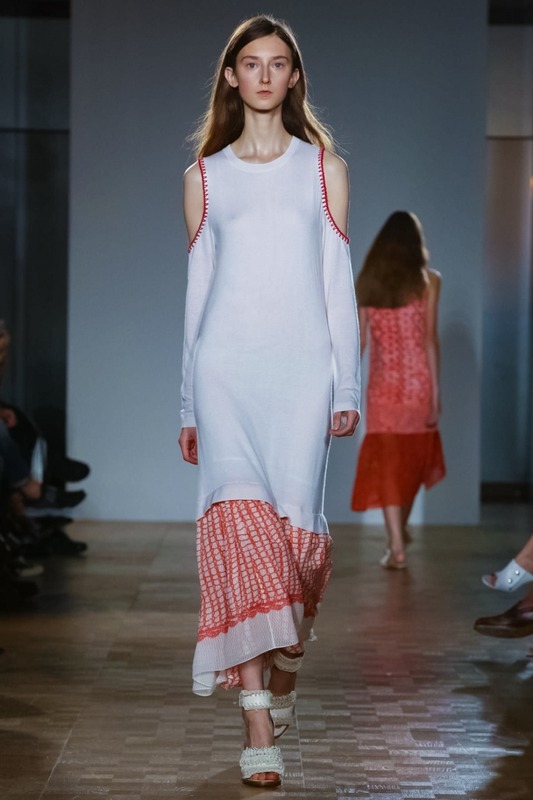 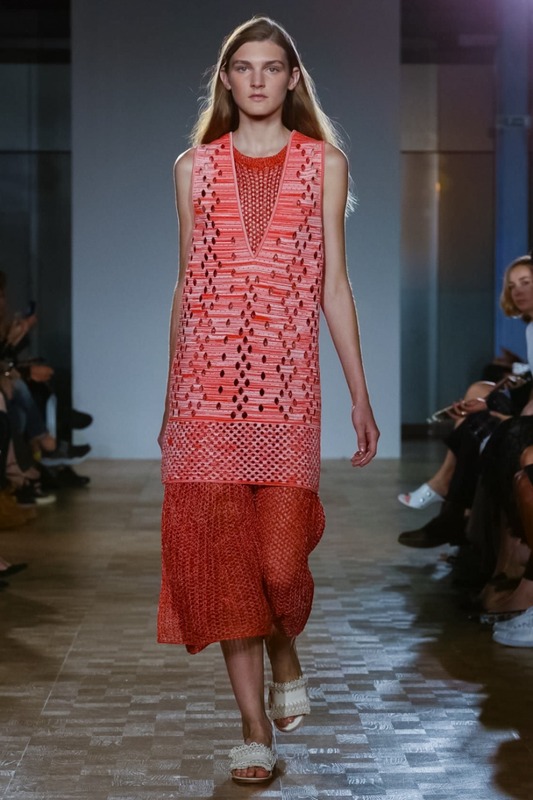 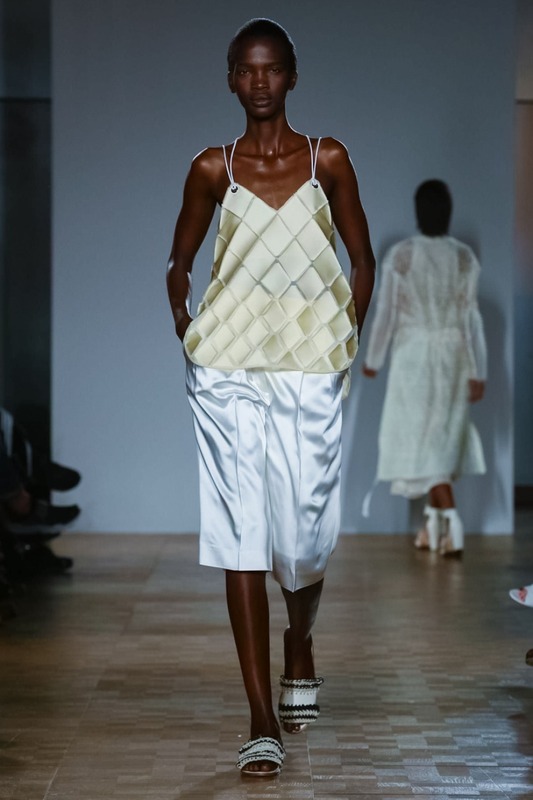 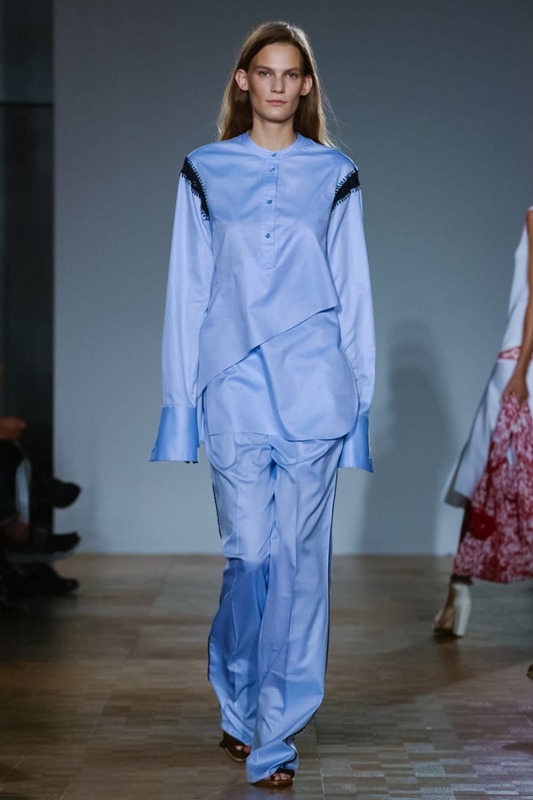 Pringle of Scotland Spring/Summer 2016 ready-to-wear collection was shown in London Fashion Week, September 20,2015. 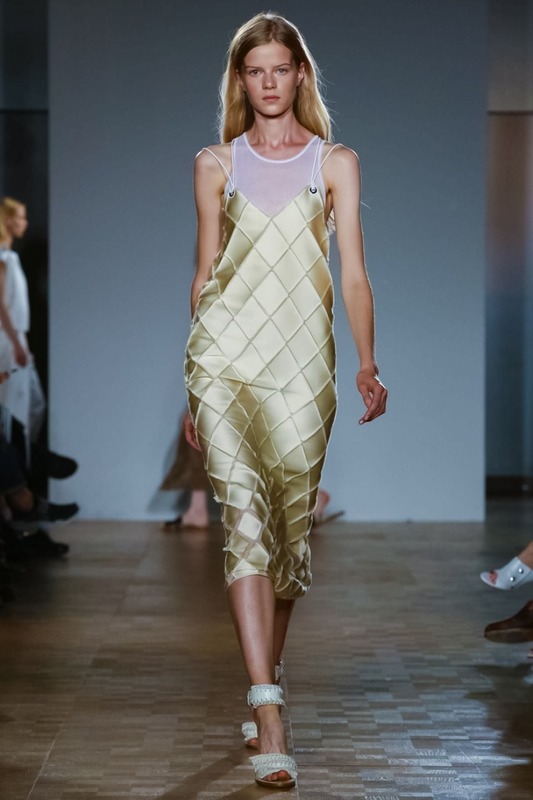 Ever since Pringle relaunched fifteen years ago under Kim Winser and Stuart Stockdale, oddness has become its stock in trade – a stubborn striving for strangeness, which banished the label’s candy-sweet golf-casual reputation to the archives, and sought to reestablish it as a serious fashion Player.Numerous designers have come and gone along the way since then, but s under chef dessigner Massimo Nicosia the label has found a new purposefulness in its focus on the techniques and technology.The past few seasons have seen Nicosia explore innovative technologies to create spectacular new surfaces.work. 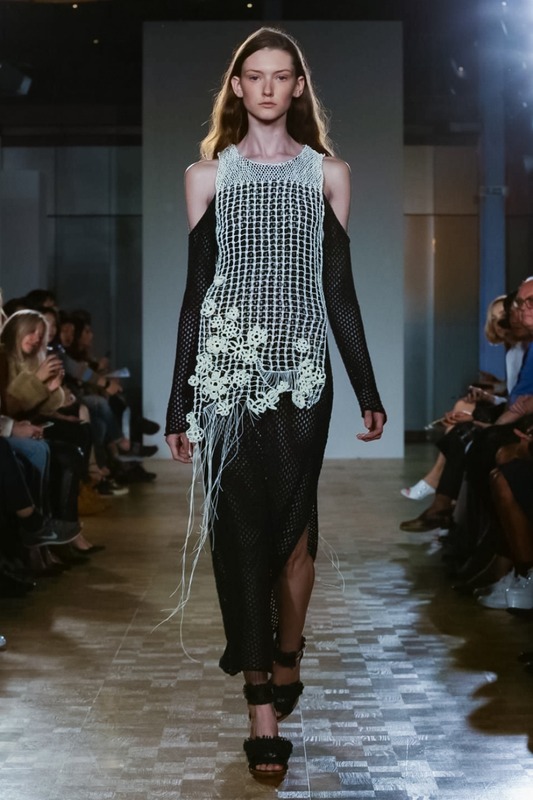 In this season Nicosia was trying to step back behind Pringle of Scotland’s thick-knit lambswool curtain into more elemental territory.